Pilihan akomodasi yang ideal untuk Pasangan dan Backpacker. Dengan menawarkan pelayanan superior dan sejumlah fasilitas kepada para tamu hotel, Sentosa 76 Guest House berkomitmen untuk memastikan penginapan Anda senyaman mungkin. 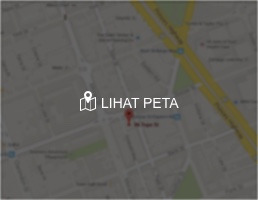 Sejumlah pilihan fasilitas seperti Wi-Fi gratis di semua kamar, check-in/check-out cepat, tempat parkir mobil dapat dinikmati di hotel ini. Sentosa 76 Guest House merupakan akomodasi rekomendasi untuk Anda, seorang backpacker yang tak hanya mengutamakan bujet, tapi juga kenyamanan saat beristirahat setelah menempuh petualangan seharian penuh. 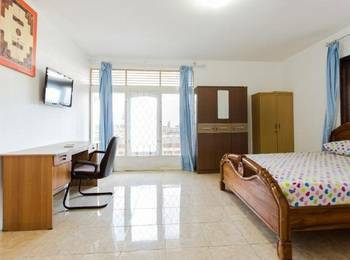 Bagi Anda yang menginginkan kualitas pelayanan oke dengan harga yang ramah di kantong, Sentosa 76 Guest House adalah pilihan yang tepat. Karena meski murah, akomodasi ini menyediakan fasilitas memadai dan pelayanan yang tetap terjaga mutunya. 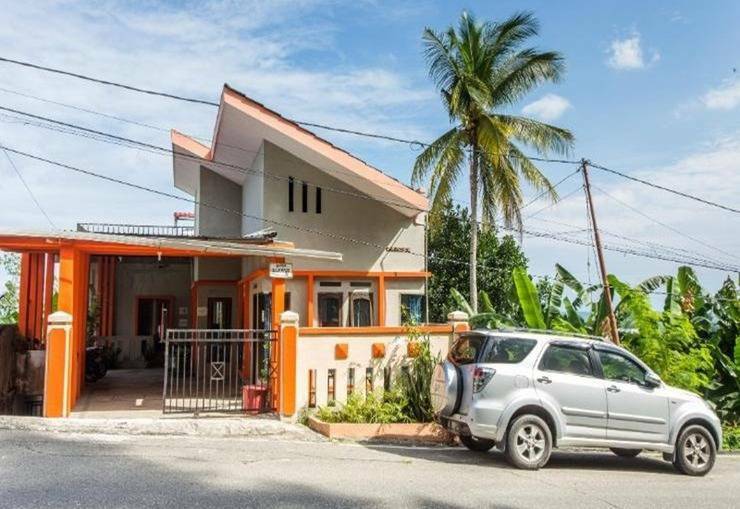 Sentosa 76 Guest House adalah pilihan tepat bagi Anda yang ingin menginap di kota Balikpapan Kota dengan harga yang terjangkau. 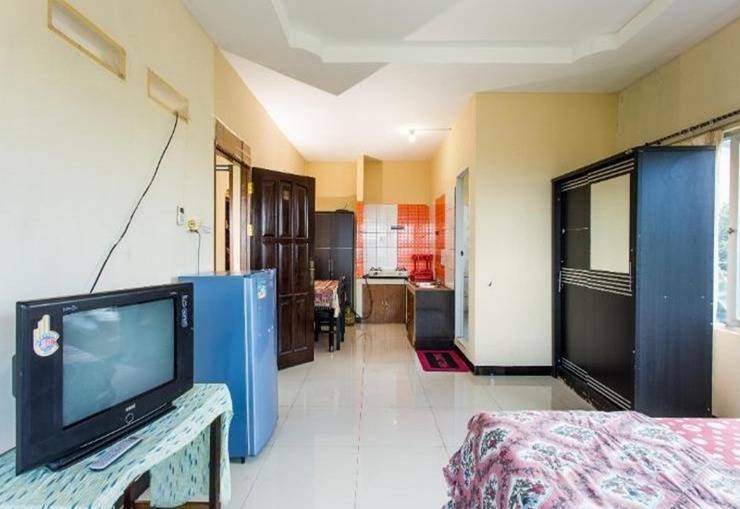 Sentosa 76 Guest House adalah pilihan cerdas bagi para wisatawan yang berkunjung ke Balikpapan Kota. "Lokasi tenang harus ada perbaikan barang /kunci utk keamanan penghuni menyediakan alat kebers..."
Kamarnya minimalis namun bersih dan rapi, serta dapat melihat pemandangan yang indah di luar jendela. Untuk kamar mandinya mungkin terlalu kecil. Staf penginanpan pun ramah. 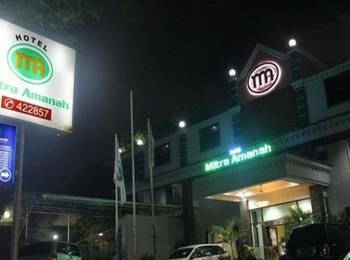 Menawarkan harga yang terjangkau, guest house ini memberikan pelayanan yang cukup baik. Sayangnya, kamar yang diberikan kurang bersih dan ada jamur pada dindingnya. Tidak disarankan jika ingin menginap berlama-lama. Poin plus pada view laut yang terlihat dari kamar. Namun, cocok untuk backpacker traveller, atau seperti saya yang menginap untuk menunggu keberangkatan pesawat. Lumayan untuk harga di bawah 100 ribu dengan diskon khusus pegi2. Kalau anda mendambahkan kamar mandi bersih, ruangan bersih, fasilitas hotel memadai , anda tidak cocok berada di hotel ini. ( saya pilih kamar yg paling murah di hotel ini ). Tanpa tv. Untuk room with fan, kebersihan kamar oke. Ukuran kamar tidak sempit dan pelayanan staffnya ramah. Namun untuk wc nya agak kurang bersih, mohon dijaga kebersihan wc nya. Kamarnya cukup baik untuk direntang harga tersebut. Hanya saja perlu beberapa perbaikan, terutama kamar mandi. Pelayanan standar, sesuai dgn harga. Untuk sekedar tempat beristirahat, sudah cukup. Cukup puas menginap di Guest House ini. Pelayanan ramah dan care. Untuk traveler yang menyukai tempat yang damai dan tidak bising ,Guest Hose ini sangat cocok untuk anda.Harga nya yang terjangkau sesuai dengan type kamar. View nya juga bagus, yaitu Laut.. Kamar sesuai dengan budget di kantong.. Lokasi dekat dengan pusat kota. Very nice.. I emailed them about my future visit to Balikpapan. I found out they also offer the city tour. They picked me up at the airport with nice and comfortable car and drop me to the guest house. Very welcoming and helpful. Next day i took the tour with them to see the city and the jungle. It is very recommended for single and family. I had a pleasant stay. The room is excellent. You have your own balcony and see the sunset from your own room. Watch the whole city from your bedroom is such a nice thing during my vacation. They also provide kitchenette in the kitchen for us to make anything. Don't forget to ask about the city tour, very recommended. The guide is very helpful and knowledgeable about the tour. Highly recommended. Definitely would come back again next year with my family. This Guesthouse is excellent for budget traveler. Made arrangement prior to arrival and the owner was able to pick-up and drop-off. It took us about 20 mins coming from the airport. 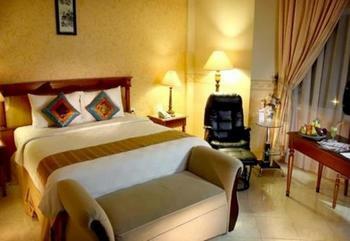 The end room on the third floor is very spacious, it has private bathroom and living room - like a suite in a hotel. The view is awesome, you can see entire city and the ocean from the big glass room's window. AC in the room makes it even more comfortable, considering the hot and humid weather at the time. The area from what I know is very safe, nearby multinational company's complex and army's residential area. Free wifi is always nice, you can obtain the password from the onsite helper. You can walk down the road (50 meters) to catch public transportation which can take you anywhere in the city. City center (mall or shopping areas) can be reached in less than 10 mins. Some beaches like Monpera or Kemala is only 5 mins away. You can get to Melawai beach, a popular hangout spot for young and teens, in less than 10 mins. Would definitely comes back! I stayed in the guest house for more than two weeks in a big room. We had everything even a mid-size fridge in the room. The tv has cable same as any 4-star hotel in the city. WiFi signal was good but the speed was normal and sometimes slow. It was only cut once and they were able to restore it. The best here is the sleep quality. The guest house is situated above a hill overseeing the city and away from traffic. The view is awesome with the sea infront of all the little houses you can see from above. However, not all rooms have the good view. 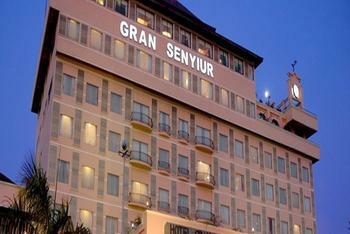 The room is fitted with air-conditioning as well. If you are muslim you should be able to enjoy the neighbouring mosque just above the hill. Also close by are many food outlets, which are just a walking distance around 500m. Otherwise you can take the local mini-van called "ankgot" which costs IDR 5000 per ride. This same ride can take you downtown in just under 10mins. Also much closer is a 24hr fully-fledged hospital with its entrance just 300m from the guest house. Overall a excellent choice weather it is for a day or much more. This is a nice budget option if you find yourself in Balikpapan for a day or two. The location is a bit out of the city center, but that didn't deter me from walking there every day. Cheap local food can be found nearby. The family that operates this guest house is very gracious and welcoming. Even though we had little interaction due to the language barrier, I could feel the good intent through their smiles. It is quiet at night and located in a safe area. The room was good sized and included aircon. The private bathroom while small, was extremely clean. Overall it was a good experience with no frills or hassles. I would recommend this guest house if you're looking to save money or just need a quiet place to lay low for a while. I will surely return if ever I'm in Balikpapan again.